Opening up the chassis, located in a piece of moulded polystyrene is a selection of extras and accessories. 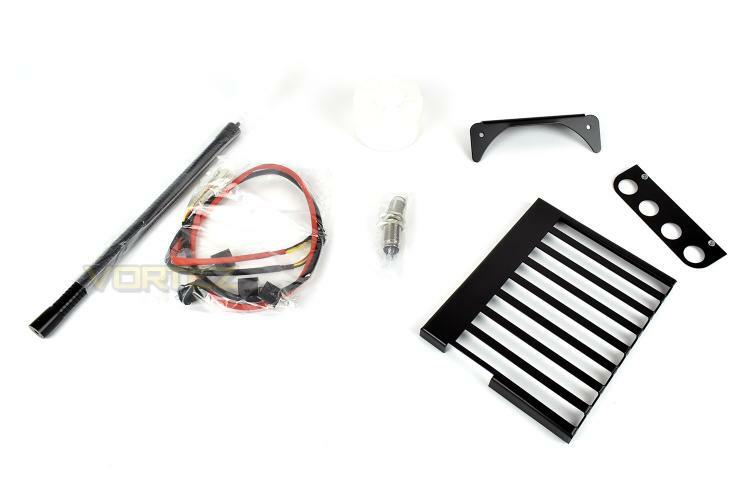 We get the fan mount, a pair of switches for powering on and resetting the system as well as wiring loops for each, an 8-slot PCI-E bracket and a mount for guiding watercooling tubing. 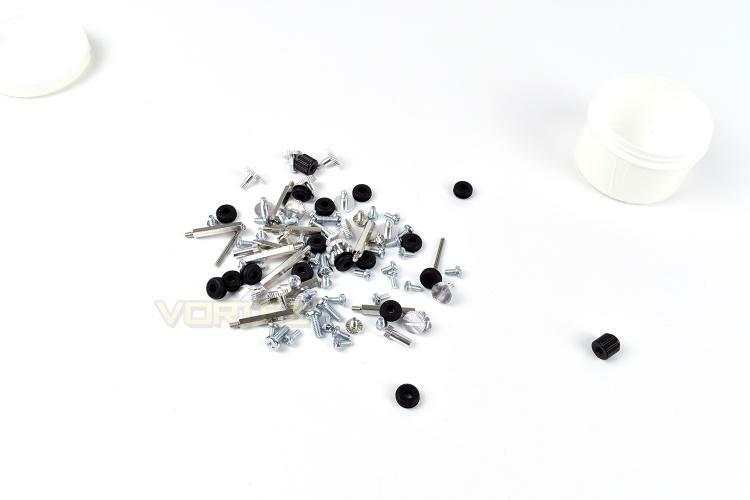 There’s also a small white tub which is full of an assortment of nuts, bolts, standoffs and rubber bushes. As far as any kind of instruction manual goes, they’ve provided the absolute bare minimum. The instructions were completely worthless and didn’t really explain anything, relying on the user having a knowledge of building such a chassis or just using trial and error to find their way. We opted to go for the Spicy Red option, purely because it was the brightest option and we love a black and red gaming theme. 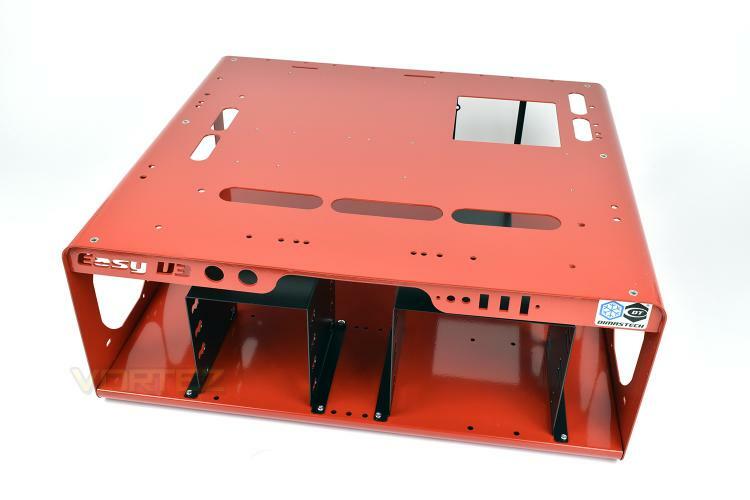 The upper plating is pre-drilled and tapped with screw mounts, accommodating all common motherboard layouts, ranging from FullATX to MiniITX. There’s several cut outs for cable routing, with the PSU residing below the motherboard, with two around the CPU power, three along the motherboard power area and two towards the bottom where GPU power would protrude from. Looking at the tectbench from the front, the Easy V3.0 branding is laser cut from the steel on one side, with a DimasTech sticker placed on the opposite end. Between those two are the power switch holes on the left and a USB/audio slot on the right, though it needs to be said that the audio/USB ports are an additional purchase and weren’t included with our review sample. The black pieces underneath are designed to house 4x 3.5” HDDs on the left and 3x 5.25” CD/DVD drives on the right. While this offers plenty of space for storage, with the usage of SSDs becoming more and more commonplace, especially for an OS drive, the lack of any mounting points for 2.5” drives are a large oversight. 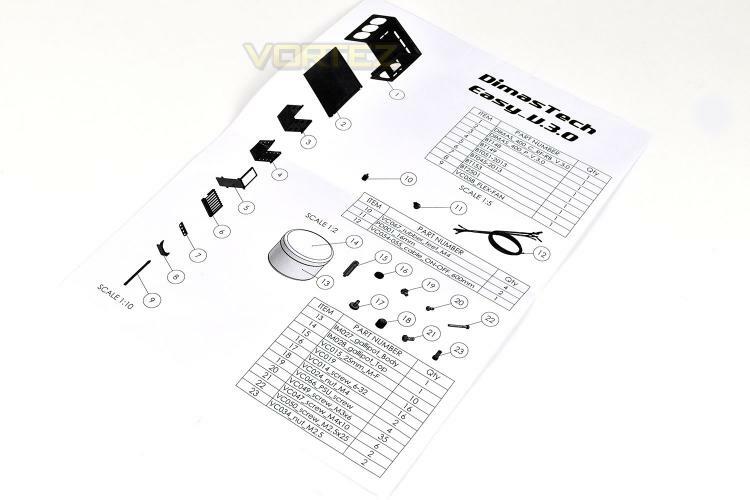 Looking at the Easy V3.0 from the opposite end, the PSU mount is vertical, ensuring the PSU fan is able to draw in plenty of air to prevent overheating of a critical component. 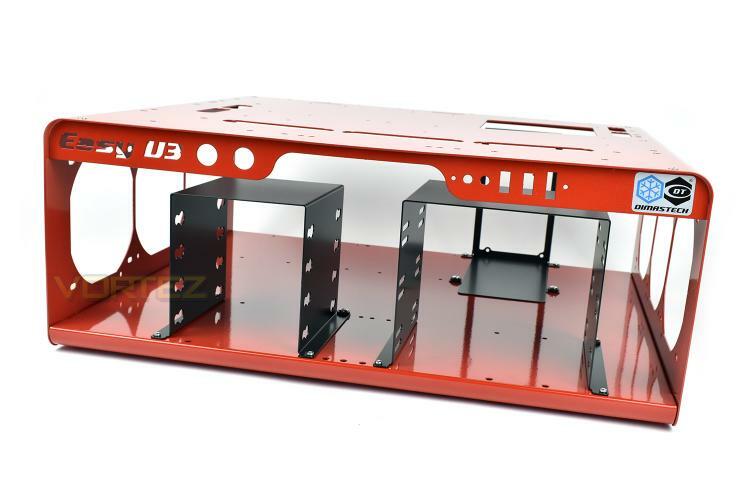 The PSU bracket can also be moved to be closer to the camera, using the pre-drilled mounting holes at the bottom. 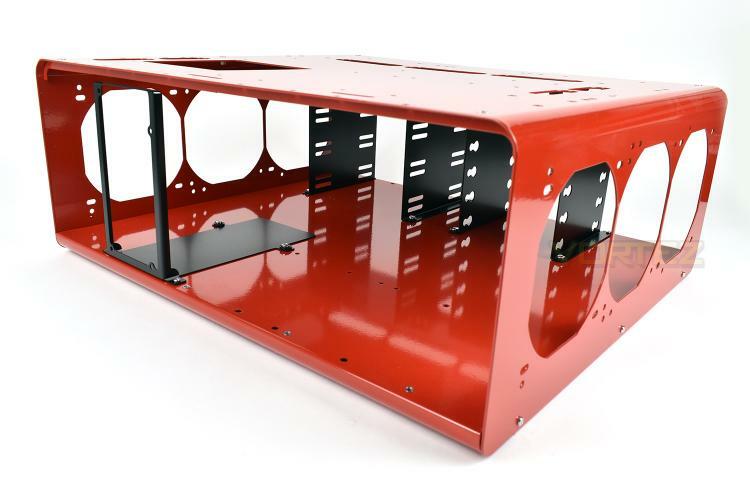 Each side of the testbench is capable of housing up to a 360mm or 280mm watercooling radiator, or even just being populated with fans to increase airflow to the PSU if you really wish.